The paper “draws attention to the new possibilities of big data”, says Bennard van Ravenzwaay, a toxicologist at the chemicals firm BASF in Ludwigshafen, Germany. “I am 100% convinced this will be a pillar of toxicology in the future.” Still, it could be many years before government regulators accept computer results in place of animal studies, he adds. And animal tests are harder to replace when it comes to assessing more complex harms, such as whether a chemical will cause cancer or interfere with fertility. Industry and academia have used computer models for decades to predict toxicity. These models typically incorporate a molecule’s chemical structure, an understanding of how it might react in the body and data from animal tests or in vitro studies. Companies also infer the toxic effects of untested substances by comparing them with other structurally or biologically similar compounds whose effects are known — a method known as ‘read-across’. But regulators set a high bar for accepting these methods and tend to ask for animal studies instead, Hartung and other toxicologists say. To improve the software, Hartung’s team created a giant database with information on roughly 10,000 chemicals based on some 800,000 animal tests. These data were originally collected by the European Chemicals Agency (ECHA) in Helsinki as part of a 2007 law known as REACH (registration, evaluation, authorization and restriction of chemicals), which requires companies to register safety information for most chemicals marketed in the European Union. As of May 2018 — the closing date for registrations — the agency had received information on more than 20,000 substances. The ECHA makes those data public, but not in a format that allows computers to easily analyse them. So, in 2014, Hartung’s team extracted the available data into a machine-readable database. This led to a legal dispute between Hartung and ECHA, because the agency said the study details belonged to the companies that conducted the tests. In 2017, Hartung agreed not to publish his own database. The ECHA also released key study outcomes — but not all data — in a separate public file. Using the read-across method, Hartung’s software compares a new chemical to closely related compounds and assesses the probability of toxic effects by reference to the properties of these known chemicals. Effectively, says Hartung, the software mimics how a toxicologist would size up a new chemical but in automated fashion. Hartung’s database analysis also reveals the inconsistency of animal tests: repeated testing of the same chemical can give different results, because not all animals react the same way. For some types of toxicity, the software therefore provides more-reliable predictions than any individual animal test, he says. “This couldn’t have been done five years ago. Chemical regulation has pushed out to the public a tremendous amount of toxicology and physical performance data,” says Craig Rowlands, co-author on the latest paper and scientist at Underwriters Laboratories, a US safety-science firm in Northbrook, Illinois that is commercializing the software. Hartung and other co-authors consult for the firm, and receive shares of its profits; although the underlying database has been shared with other researchers and government agencies who have asked for it, Hartung says. Other researchers and firms are developing machine-learning algorithms, too, although they have not published papers about their work. And chemical-safety agencies are paying close attention. In April, the Interagency Coordinating Committee on the Validation of Alternative Methods, which is developing methods to replace animal-safety testing on behalf of 16 US government agencies, invited dozens of academic and commercial research groups to the National Institutes of Health (NIH) in Bethesda, Maryland. There, each team used its own software to predict ‘lethal-dose’ toxicity for 40,000 chemicals previously tested on rats. Combining the best software (including Hartung’s) produced a consensus computational model that “performed just as well as the animal tests”, says Nicole Kleinstreuer, who coordinated the exercise and develops alternative toxicity-testing methods for the US National Toxicology Program in Durham, North Carolina. Later this year, the US Environmental Protection Agency (EPA) plans to release the consensus model online for free download. US agencies are particularly keen to promote non-animal testing methods, after historic 2016 legislation gave the EPA the authority to insist that chemicals be proven safe before they go on the market. 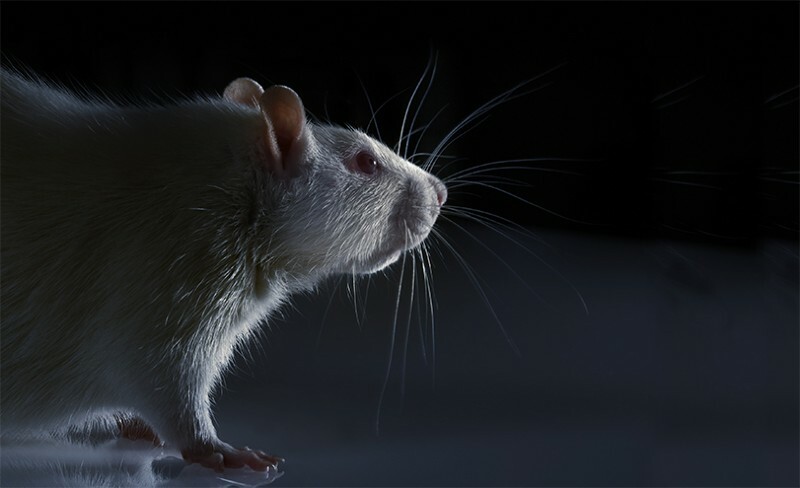 Last month, the EPA published a strategic plan to promote animal-free testing methods, including software. In the EU, the ECHA has also encouraged companies to avoid animal tests by using read-across and methods based on analysis of lab cells where possible, says Mike Rasenberg, head of computational assessment at the agency. Luechtefeld, T., Marsh, D., Rowlands, C. & Hartung, T. Toxicol. Sci. https://doi.org/10.1093/toxsci/kfy152 (2018).